First Grander of 1991. Fight time: 20 minutes! The fish apparently died of a heart attack during its initial run. 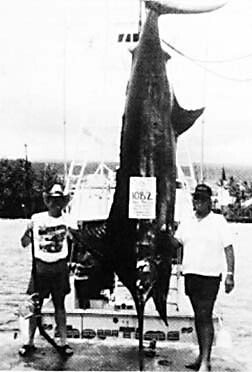 Greg and his wife Cheryl were on their honeymoon when Greg hooked this fish on the SHOWTIME with Capt. K.Y. Rogers.